The 2019 EJCH Scrub Run 5K, Fun Run and Community Health Festival will take place on the Emory Johns Creek Hospital campus on Saturday, May 18th. The race benefits the Emory Johns Creek Hospital Foundation and Chattahoochee High School Cross Country Teams. 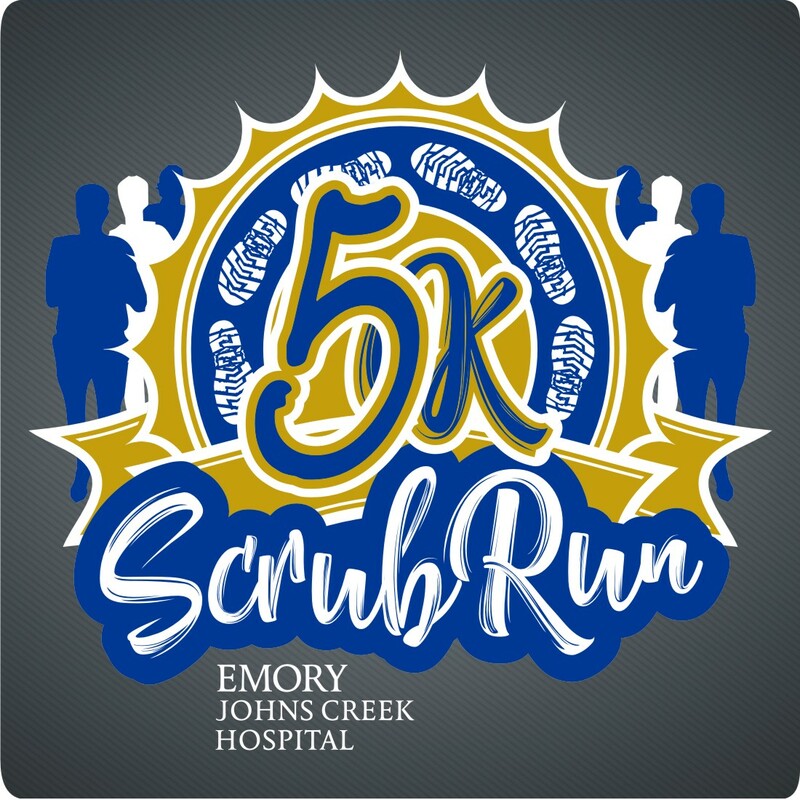 The 2019 EJCH Scrub Run 5K and Fun Run will take place on the Emory Johns Creek Hospital campus on Saturday, May 18th. The 5K begins at 8:00am, and the Fun Run begins at 9:00am. Race number pick-up and late registration will be at the race site on the morning of the race starting at 6:30am. Awards to the top 3 M/F finishers ($100/$75/$50 prize purse), M/F Age Groups of 10 & under, 11 to 14, 15 to 19, 20 to 29, 30 to 39, 40 to 49, 50 to 59, 60 to 69, and 70 and over. Additional awards for the Fastest M/F EJCH Employees, Fastest M/F Provider, & Fastest M/F Weight Loss Surgery Patients (medals to all Bariatric finishers). Parking available on the EJCH campus and the surrounding office complexes. Please look for Race Parking signage as appropriate.